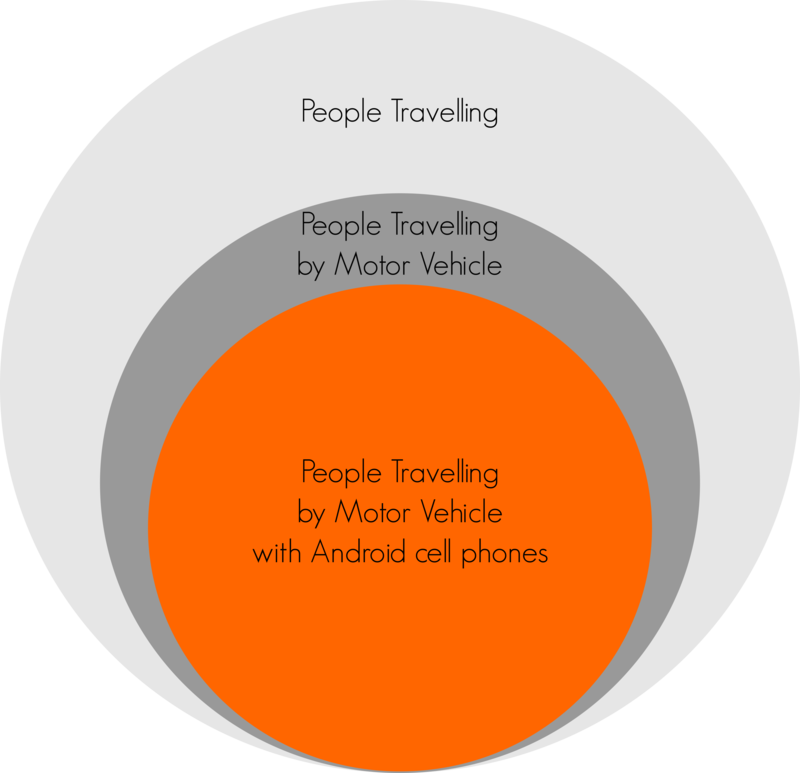 Data notes: This assumes 75% of people use a motor vehicle to travel (The 2011 Canadian average for commuting mode share by motor vehicle is 74%), and that Android usage is 84% (the 2014 worldwide market share). By this measure, my city is clearly more congested than his, even though my worst commute time ties his. 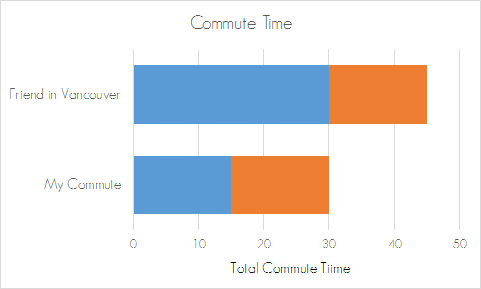 Because it is overall commute time that actually matters. 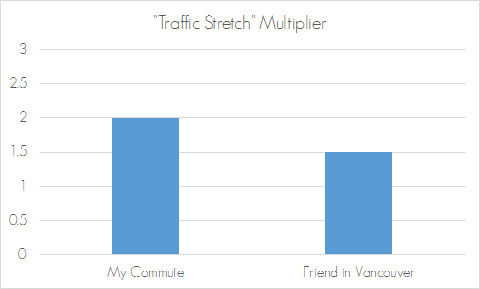 Study after study has shown that longer commutes are worse for health, friendships, relationships, community connections, volunteerism, the economy, etc. Further, by only focusing on the motor vehicle, we end up with perverse results such as wider roads and bridges (which do nothing to reduce congestion) rather than better land use and more active transportation & public transit. Check out some of the links below for further documentation.